The United Kingdom’s General Medical Council (GMC) has rejected an application submitted by a South Asian Institute of Technology and Medicine (SAITM) graduate to take the doctor’s PLAB test, the Daily News learns. To practise medicine in the UK, the doctors qualified overseas must pass the PLAB test to demonstrate their medical expertise and practise medicine in the UK. The GMC having rejected the student’s application has reportedly informed higher-ups of the college that Malabe Private Medical School (awarded by the South Asian Institute of Technology, Sri Lanka) does not meet their acceptability criteria. She pointed out that SAITM is a degree awarding institute recognised by the Higher Education Ministry and it is empowered to grant MBBS degrees. She said SLMC cannot recognise SAITM because it is a private medical institute, SLMC can only recognise qualification of overseas medical institutes. Dr. Samantha Ananda of the Government Medical Officers Association (GMOA) said they have seen reports stating that GMC has put SAITM in their official unacceptable list. “SAITM perhaps made its way into the unacceptable list of the GMC for acceptable reasons,” Dr Ananda said. “An expert committee of learned professors from the SLMC had observed that Malabe Medical College is in depravity in terms of meeting necessary requirements and facilities to produce safe doctors,” he said. The statement of the GMC read: “A decision to place a medical school on this list is not taken lightly. We only do so following a full investigation and where we conclude that it is the most appropriate course of action in light of our main objective to protect, promote and maintain the health and safety of the public.Dr Ananda said the GMOA stands firmly with the decision of the SLMC regarding their stance taken on the SAITM ansd the assessment of the GMC. Meanwhile, SAITM Parents’ Association Assistant Secretary Gamini Jayasinghe said they are concerned about the matter. 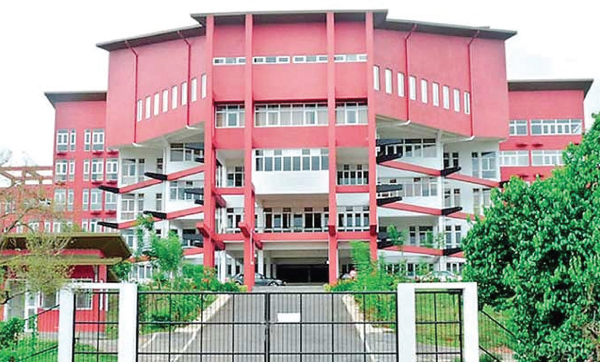 The Supreme Court was yesterday informed there was possibility of a settlement being reached between the parties regarding the issue of South Asian Institute of Technology and Medicine Limited (SAITM) in Malabe. Additional Solicitor General Sanjay Rajaratnam made this remarks when the Appeal petition filed by the Sri Lanka Medical Council (SLMC) challenging the judgment of the Court of Appeal to register a student of SAITM in Malabe was taken up for support. President’s Counsel Romesh de Silva appearing on behalf of the original petitioner, a MBBS graduate of SAITM, moved the three-judge-bench comprising Justice Buwaneka Aluvihare, Justice Sisira de Abrew and Justice Anil Goonaratne that the request for leave to appeal by SLMC be refused. He contended that the judgment made by the Court of Appeal to register students of SAITM provisionally as a medical practitioner in terms of section 29(2) of the Medical Ordinance cannot be challenged through this appeal because the facts presented by the SLMC in the appeal were not sufficient to challenge the Court of Appeal order. He vehemently condemned the behaviour of the Government Medical Officers’ Association (GMOA), which is continuously engaging in street protests and unnecessary strikes during the days the SAITM appeal was taken up for hearing. Romesh de Silva PC will continue his oral submissions today (15). On a previous occasion, the Supreme Court had allowed the GMOA to intervene into the appeal filed by the SLMC. Through the appeal petition, the SLMC sought an order to set aside the judgment dated January 31, 2017 by the Court of Appeal. President’s Counsel Faiz Musthapha appeared for SAITM. President’s Counsel Gamini Marapana with counsel Navin Marapana and Ravindranath Dabare appeared on behalf of Government Medical Officers’ Association (GMOA). This is an obvious situation. This is an obvious situation. First we have to sort out the injustice happened to the saitm students in this country due to misuse of statutory power by the SLMC former chairman. Once this issue is sorted automatically all the medical councils in the world will accept saitm degree. Until that the frustrated victimised students should not apply for oversea registrations. SLMC recognized private medical school KDU, so why this double standard for SAITM. SLMC has to be compelled to carry out Court of Appeal order and register SAITM MBBS for internship training which will correct any deficiencies which are part and parcel of all new state medical faculties also (teething problems) GMC will not recognize any medical school not approved by their local medical council. It will however review after some time after local SLMC registration like what happened in previous state med. schools also. Not political but academic training in internship is what is required for MBBS SAITM who cannot go back to student observer clerking any more. It must be hands on training under strict consultant supervision in internship which corrects all state interns too in their deficiencies. GMOA has no moral right to interfere as they too have lifelong training. Law and order and judicial verdict must be carried out, not terrorism.